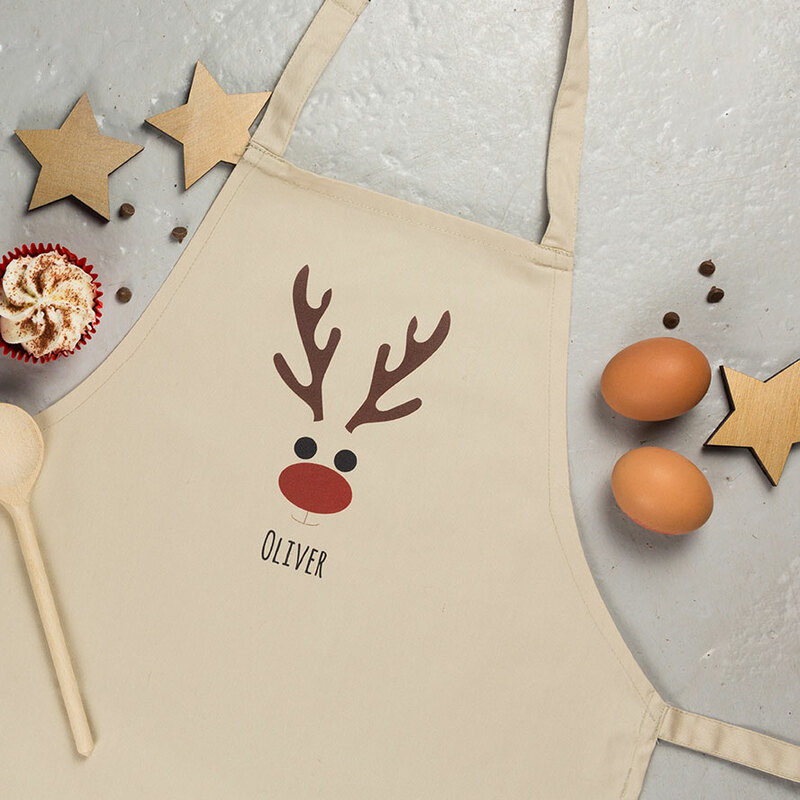 Delight any child with this unique personalised baking gift set with a cute Rudolph inspired design. 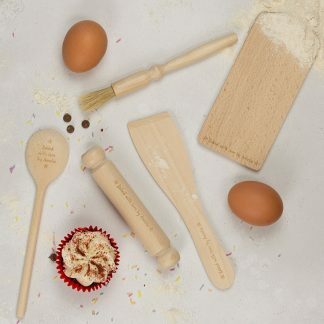 A beautiful set of child friendly sized utensils, comprising a rolling pin, spatula, spoon, pastry brush and cutting board. Each utensil features words “baking set“. 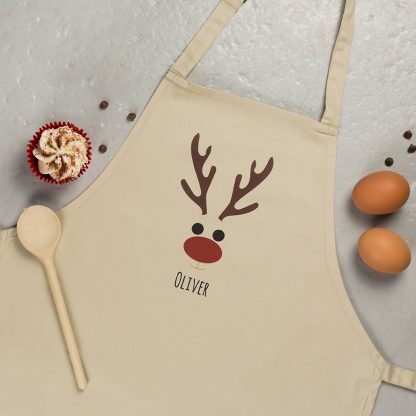 Just add your chosen name to create a fabulous gift for the child in your life, i.e., Oliver’s baking set. Please include apostrophes where necessary. Complete with a matching cotton drawstring bag (also personalised of course!) ready for gifting. Make it extra special and add a matching Christmas apron for age 3-6 year olds. Designed and made with love in our Hampshire workshop. Please note that the utensil shapes and sizes may differ from the images shown. The pastry brush will not be personalised. Utensils are made from wood sourced from sustained beech forests in Eastern Europe. Recommended for children age five and under. For older children and adults, you may prefer our personalised adult baking set. Apron: approx 36cm x 55cm (suitable for age 3-6 years).